The pro-Kurdish Peoples’ Democratic Party (HDP) said on Thursday it will submit an extraordinary appeal to the Supreme Electoral Council (YSK) to demand re-runs of local elections in five districts. Mithat Sancar, a lawmaker from the HDP said these are districts where the party’s mayor-elects were not allowed to take up office. On Wednesday, the YSK ruled that mayor-elects of the March 31 local elections who were previously sacked from their public sector jobs by state-of-emergency decrees issued by the ruling Justice and Development Party (AKP) following a failed coup attempt would not be allowed to serve as mayors. Instead, the mandates would be given to the runner-up candidates, according to the YSK ruling. For now, the YSK ruling affects five HDP mayorships, including Tekman district in Erzurum, Edremit, Tusba ve Caldiran districts in Van, Dagpinar district in Kars, where the AKP candidates will be able to serve in the mayor posts instead, as they came second in the mayoral races on March 31. Speaking to Turkish media outlets in front of the YSK, Sancar said the ruling was totally wrong and against the law and the constitution, apart from shame for democracy. “It would have been better if the decision had not been taken, yet there is still a chance to decrease the damage,” Sancar added. He further went on and said the YSK cannot be a tool of the ruling power bloc and does not have the right of eliminating Turkish citizens’ faith in the future and elections. “The YSK tries to replace itself with the legislator. This is a heavy blow to the election security and the trust,” Sancar argued. The HDP lawmaker pointed to the fact that HDP had many previously dismissed mayoral candidates, who had not been informed of such a condition by the YSK before the elections. Sancar alleged the YSK took such a decision only after elections. He called for the Council of Judges and Prosecutors (HSK) to search whether the YSK members did that negligently or intentionally. Sancar vowed to complain the YSK members to the HSK, which the responsible authority for examinations and investigations about the judges and prosecutors in Turkey. The HDP has not also accepted another YSK ruling, this time in favor of HDP itself. On Wednesday, the YSK ruled the mandate would be given to the HDP candidate, who came second in the election in Rustemgedik district of the eastern province of Mus, as the mayor-elect from the main opposition Republican People’s Party (CHP) had a criminal record. 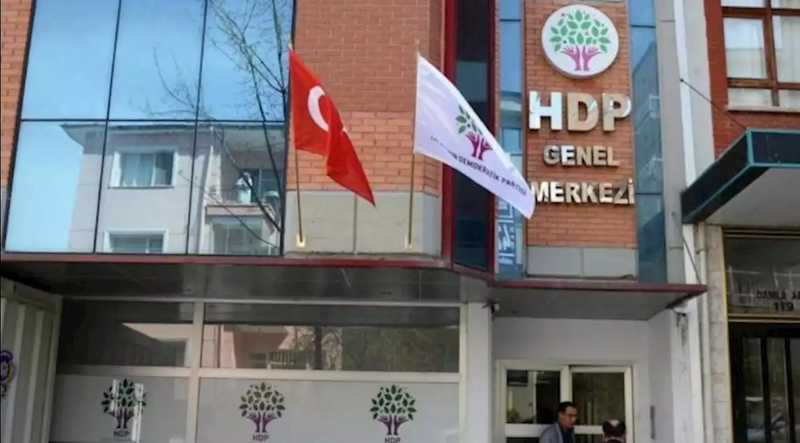 Through its official social media account, HDP rejected the ruling and criticized the YSK, as it had overlooked such criminal records prior to approval of candidacy applications. According to unofficial results of the March 31 polls, Ekrem Imamoglu, a CHP candidate, won the run for the Istanbul mayorship. AKP has repeatedly appealed election results in Turkey’s biggest city, Istanbul, asking for recounts of all votes. The YSK, however, rejected AKP’s demand for a total recount and ruled, instead, a partial recount on Tuesday. Later, AKP resorted to an extraordinary objection process before the YSK, appealing for a re-run of the Istanbul mayoral elections. In a bid to make a re-run possible, AKP has been trying to prove widespread voter fraud in Buyukcekmece district of Istanbul. The YSK has not yet ruled on Buyukcekmece. According to a report of the state-run Anadolu news agency, so far, the YSK has annulled just one election in Yusufeli district of the northern province of Artvin. The CHP candidate has challenged the results since the AKP’s mayor-elect was only one vote ahead of his rival. A re-run election will be held on June 2, according to the YSK ruling.